Located in The Standard Hotel in the East Village, Narcissa offers Californian cuisine. Seasonal produce is sourced from nearby Hudson Valley and is showcased on a healthy American Menu, that changes according to the seasons. They are known for their dinner but the brunch and lunch menu is just as tempting. 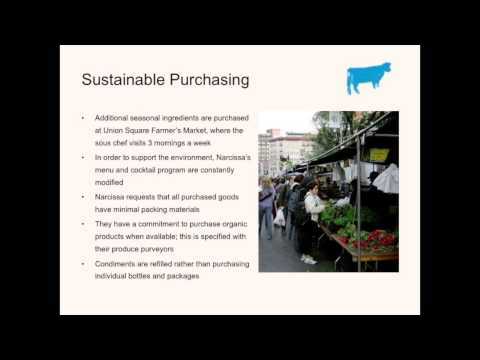 Take a look at some of the sustainable features of Narcissa.